Enjoy 10% Early Bird Discount by enrolling and paying before Mar 23 (Sat)! Easter is fast approaching! 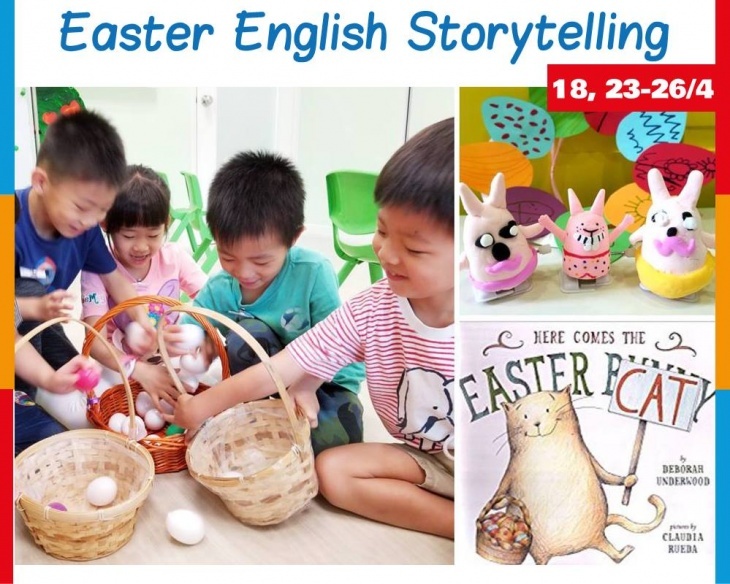 5 Easter story books, each with a unique storyline triggers children's creative thinking. Festive activities like Easter egg hunt, and art & craft allow children to have fun, and strengthen their listening and speaking skills at the same time. 25–26 April, See the website for the opening hours.